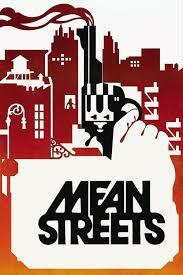 Mean Streets is one of my favourite films, but I’m not sure why! Maybe because it’s Martin Scorsese’s first feature film, maybe because of the way it looks as it was filmed using handheld camera techniques, maybe because of the fresh acting of the young Robert De Niro, Harvey Keitel and Amy Robinson, maybe because of its story about disaffected and crazed youths attempting to metamorphose into functioning adults, or maybe because its soundtrack goes so well with the images on screen–a repeated quality of Scorsese’s movies. Whatever the reason, grab the opportunity to see this film on the big screen, I can’t help but think Mean Streets and the Cine Doré are the perfect match. Date: Sunday 21st October 2018. Start time: 19:30. Entry: €3.00. Cine Doré, Calle de Santa Isabel, 3, 28012 Madrid. Metro: Antón Martín (L1). 2nd showing Tuesday 30th October, 20:30. Tickets have to be purchased from Cine Doré’s ticket booth, there isn’t an online option to buy tickets.